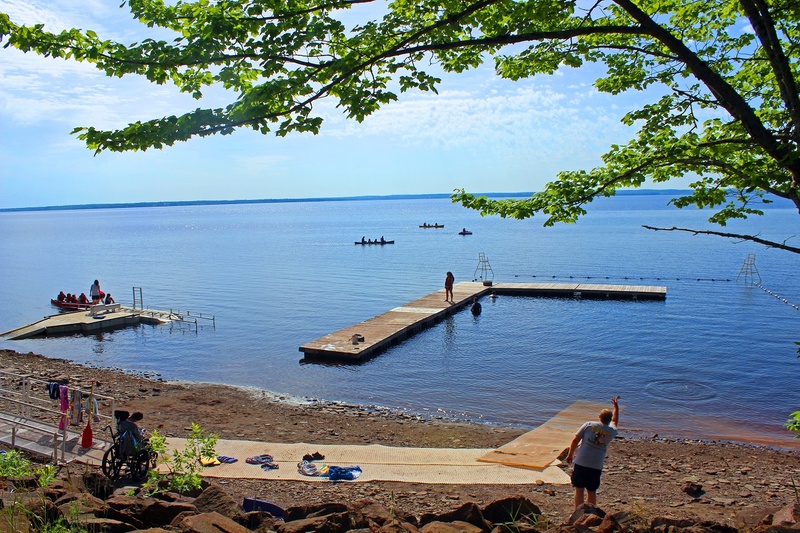 Camp Rotary is a fully bilingual residential camp for children and adults with physical and developmental disabilities located at Grand Lake, NB. 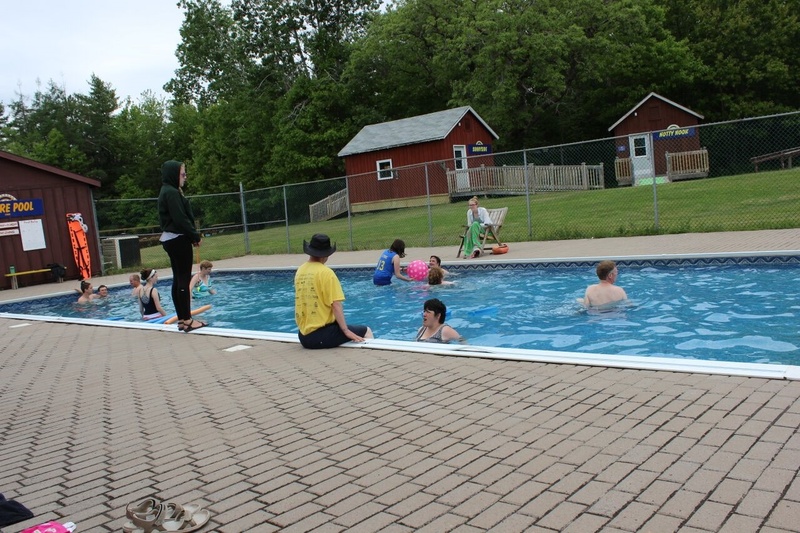 The camp is owned by the Rotary Club of Fredericton and operated by Easter Seals NB. 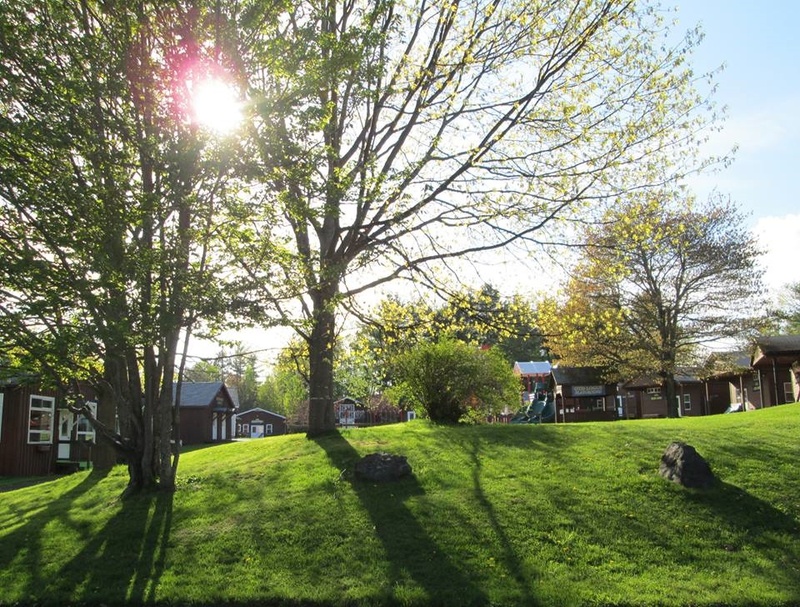 During the spring and fall, the wonderful camp facilities are available for rent. The camp facility is an excellent place to hold conferences, regional meetings, and residential camp programs. The site includes eight spacious cabins, a recreation/gathering hall, a large dining hall with kitchen, a chapel, roomy washroom facilities, a large tennis and basketball court, an archery range, nature trails, a baseball field, a firepit, beachfront, and an outdoor pool. Meetings and conference sessions for large or small groups can be held in a variety of indoor locations. Sleeping capacity is 120 persons. All of our buildings are barrier free and fully accessible for persons with disabilities. Program equipment is available, which includes canoes, archery equipment, arts and crafts supplies, and a variety of sporting equipment. Camp Rotary has played host to many conference groups and camp programs, large and small, in the past. These conferences have proved cost effective for rental groups. 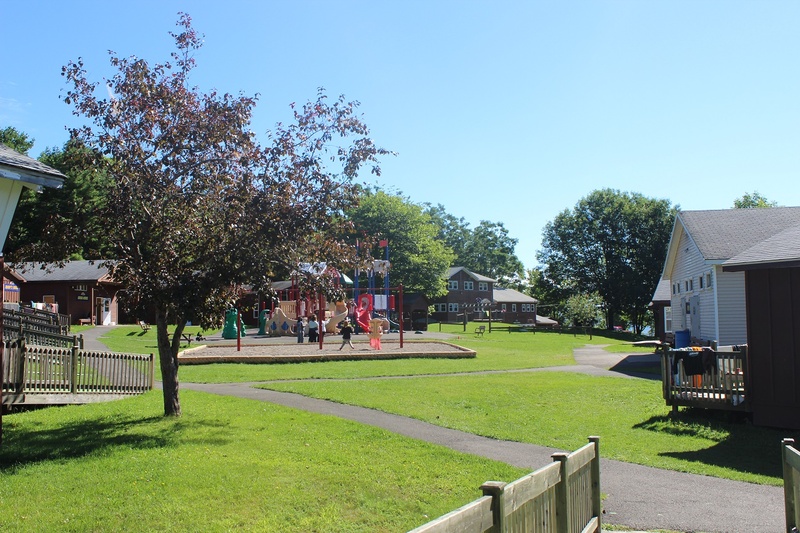 Camp rental presents an opportunity for users to enjoy an outdoor experience and provides revenue that supports Camp Rotary’s summer programs for campers with disabilities. Rentals can be tailored to the unique requirements of the rental group. Additional staffing can be provided at further cost: we’re able to provide counsellors, canoe instructors, or lifeguards, for example. Weekend conference rentals include food service from supper on Friday to lunch on Sunday. Deluxe meals, coffee breaks, and special dietary accommodations can all be made available. Prices will increase accordingly.